Bharata Natyam is the classical dance of south India. It’s origins are found in the temples where dance was both a part of the daily worship of the deity and a concert form performed for events. 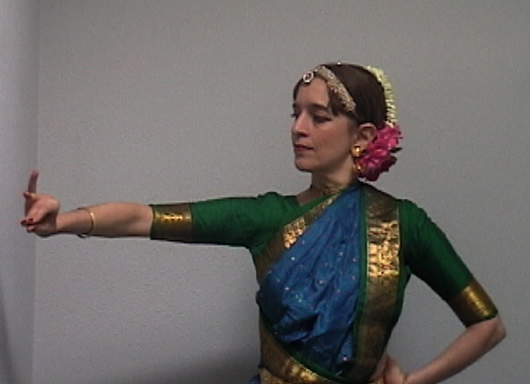 Bharata Natyam was traditionally practiced only by a hereditary community of dancers in south India. During British rule dancing in temples was banned. The dance later revived, was practiced by people from outside the hereditary community, became extremely popular, and has now become global. In that revival the dance transformed and took on the characteristics that it has today. The most famous dancer from the hereditary community who practiced the traditional pre-revival style is the legendary T. Balasaraswati. She died in 1984, and left very few disciples. Emily Mayne is one of them.